There are over a dozen different types of leukemia. They are classified according to: how fast they worsen and the kind of white blood cells (WBCs) they affect. It can either be acute or chronic. The acute and chronic types can also be either myelogenous or lymphocytic. The symptoms are the same but for the acute type, they are immediate and can make you feel sick right away. It is characterized by blood-forming cells that are immature. These immature cells reproduce and accumulate very rapidly. Urgent treatment is required for acute leukemia because they worsen very fast. The acute type can ravage your body within a few weeks or months. Nose bleeding is one of the signs. It is characterized by blood-forming cells that are mature but are still damaged or abnormal. The chronic type grows slowly and may not cause symptoms for years. It also affects older people more often. If it's myelogenous, the abnormal white blood cells are either the bacteria-killing cells called granulocytes or the macrophage-forming cells known as monocytes. If it's lymphocytic or lymphoblastic, the abnormal white blood cells are the bone marrow lymphocytes. Among the over a dozen different types of leukemia, the most common types include only four. They are . . .
ALL leukemia is most common in children. It can also affect adults but only rarely. It often happens to children aged 15 years old or younger. Acute leukemic cells develop in the bone marrow, the thymus and the lymph nodes. AML develops in both children and adults but most often affects adults. Most patients with acute myelogenous are 65 years or older. It starts with abnormalities in the granulocytes. These white blood cells stay immature and because of their acute nature, they multiply too fast in the blood and bone marrow. As the abnormal WBCs accumulate, they hinder the body's ability to fight infection and control bleeding. The CLL type is the most common in adults, especially those who are 60 or older and is rare among children. Chronic lymphocytic affects more men than women and is the most common type in North America and Europe. Exposure to chemicals used in agriculture is one of the probable CLL causes. To read more about the prognosis, signs and symptoms and treatment options, see Understanding Chronic Lymphatic or CLL Leukemic Disease. CML happens mostly in middle-aged adults to 60 years old or above. 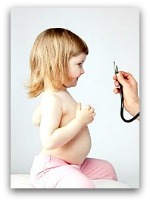 The chronic myelogenous type is very rare among children. In chronic myelogenous, the bone marrow cells multiply out of control and they do it outside the bone marrow tissue. That is why, among the different types of leukemia, it is also known as a myeloproliferative disorder.